(AP Photo/Rick Bowmer) Sam Young speaks during a news conference Sunday, Sept. 16, 2018, in Salt Lake City. Young, a Mormon man who led a campaign criticizing the church's practice of allowing closed-door, one-on-one interviews of youths by lay leaders, has been kicked out of the faith. 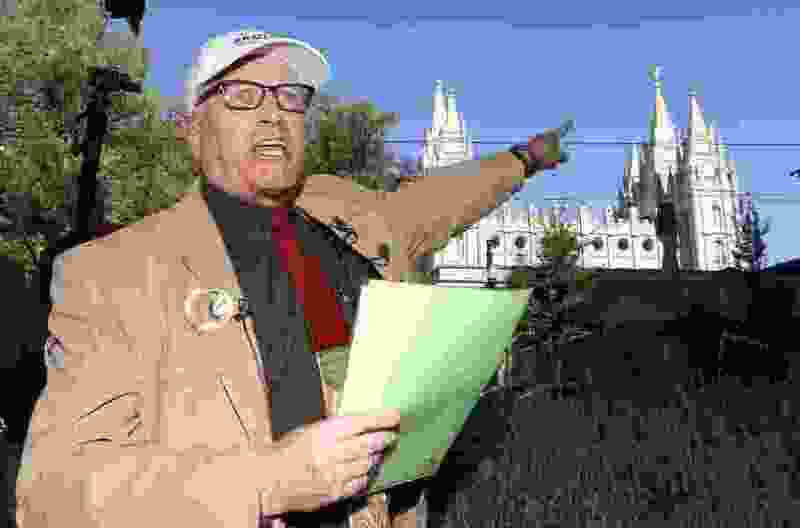 Sam Young, the former Mormon who was excommunicated for “deliberately attacking and publicly opposing the church” in his campaign to end bishops’ one-on-one youth interviews, has learned that his appeal of that disciplinary decision has been rejected. The Houston stake president, a regional lay leader in The Church of Jesus Christ of Latter-day Saints, told Young of his appeal’s outcome Sunday while standing in a hallway at the church he once attended. The leader did not give Young any notice in writing and said none would be forthcoming. That is “consistent with the process for an appeal to the [governing] First Presidency,” church spokesman Eric Hawkins wrote Monday in an email to The Salt Lake Tribune. Young, who once served as a bishop for the Utah-based faith, went on a three-week hunger strike this past summer to protest church leaders doing private, one-on-one interviews with children and youths. He also objected to the sometimes sexually explicit questions that are asked. To propel his cause, he also formed a group, Protect LDS Children, launched an online petition and led a march to church headquarters to deliver tens of thousands of supportive signatures. Young’s ousting means he is no longer a Latter-day Saint. He can’t serve in church positions or enter the faith’s temples, pay tithing or speak or offer a public prayer in church meetings. He can attend services and become a member again if he demonstrates he has “stopped actions to undermine the church and its leaders,” according to the letter. But he was told that he could appeal that decision to the First Presidency within 30 days. With this response, that avenue is now closed.